Henry L. Taylor - Seven Countries Study | The first study to relate diet with cardiovascular disease. 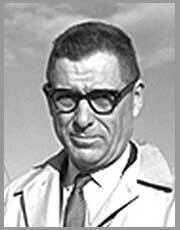 Henry Taylor (1912 – 1983) was the main engine of the US Railroad Study and with Ancel Keys as his mentor, was a driving force behind the entire Seven Countries Study as well. Taylor obtained his B.A. in Biochemistry from Harvard University, but failed to complete Medical school due to ill health. Keys took him under his wings, and he received a PhD in the Laboratory Of Physiological Hygiene in 1941. Taylor remained his entire academic career in that laboratory at Minnesota until his untimely death in 1983. In preparation of an NIH proposal for the US Railroad study, Taylor realized that there would likely never be a ‘definitive experiment’, due to feasibility and cost, in which physical activity would be modified and the effect on heart attack rates measured. Therefore, Taylor looked at the cohort design of the Railroad Study as a ‘natural experiment’, in which coronary heart disease rates would be documented among rail occupations contrasting in energy expenditure, to shed light on the possible causal and preventive role of habitual physical activity. Later in Taylor’s career, he participated in a pilot study of exercise as a a preventive of coronary disease, and in the NIH Lipid Research Centers cohort studies and trials. He made basic contributions to understanding the role of exercise in fitness and the deconditioning effect of bed rest, and the development of the well-documented Minnesota Leisure Time Physical Activity Questionnaire.